Embark on an incredible journey to Russia's northen capital - Saint Petersburg and see the best of the city with your fully customizable seven day tour. Explore the most beautiful Russian city and visit famous sights like the Hermitage Museum, Bath Cottage, The Faberge Museum and enjoy a private boat ride along the canals and rivers and feel the true meaning of Saint Petersburg's second name - Venice of the North. Welcome to the legendary Venice of the North and the brilliant Northern capital of Russia - St. Petersburg! Your driver meets you at the airport and transfers you to your centrally located hotel for check-in. In the evening meet your guide and have a welcome cocktail in the hotel lobby bar. You may discuss details of the upcoming tours and get to know more interesting facts about St Petersburg. Breakfast and a welcome drink are included. 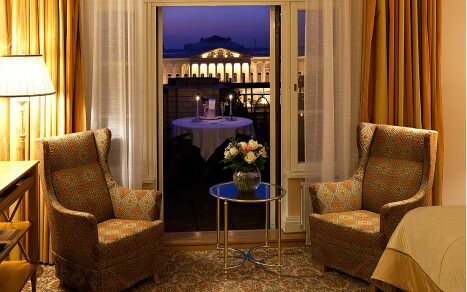 After breakfast you meet your guide in the hotel lobby and go on an amazing panoramic city tour around the most cherished gems of St. Petersburg, including Palace Square, the Hermitage Museum, the Mariinsky Theater, Nevsky Prospect and many other popular attractions. Have a break to taste a famous Russian afternoon tea ceremony with assorted crepes, meat pirozhki, caviar and a glass of champagne. Continue your tour with a visit to the Peter and Paul Fortress - a burial place of almost all the Russian emperors and empresses from Peter the Great to Nicholas II and his family. Then you go inside to the magnificent St. Isaac's Cathedral and the Church of the Savior on Spilled Blood, which stands where Russia's great emperor Alexander II was mortally wounded. Following breakfast you meet your guide in the hotel lobby and go to the legendary Hermitage Museum before hours to avoid large crowds. Hermitage houses its unique collection of world art, including the masterpieces of Leonardo da Vinci, Rembrandt, El Greco, Francisco Goya and Thomas Gainsborough in the halls of the Winter Palace. You also go inside the famous Diamond Room, that contains the unique collection of priceless gems belonging to the Romanov family. Return to your hotel and have the rest of the day at leisure. After breakfast you meet your guide in the hotel lobby and travel to the outskirts of Saint Petersburg to explore the former summer residence of Russian tsars and the gem of palace architecture - Peterhof. After breakfast your guide meets you in the hotel lobby and takes you to one of the the most beautiful palaces in Saint Petersburg - the Shuvalov Palace located on the Fontanka River to show you the world's largest collection of works by Carl Faberge, including nine of the famous Imperial Easter Eggs, regarded not only as the finest jeweled works of art, but also as unique historical artifacts. Have a lunch and then proceed to the General Staff Building to admire the Hermitage's superb collection of Modern European Art, primarily consisting of the world-famous French impressionist and post-impressionist paintings. A private boat ride along beautiful canals and rivers of the Russian Northern capital comes as a final chord to your exploration of Saint Petersburg. After the tour you return to your hotel and have time for leisure. Following breakfast you meet your guide in the hotel lobby and head for Pushkin (Tsarskoye Selo) to explore the brilliant Catherine's Palace that is a striking example of baroque architecture gifted by Peter the Great to his wife Catherine I. After the tour you return to your hotel and in the evening you enjoy Farewell dinner in a company of your guide. This is the final day of your amazing Saint Petersburg tour. We hope you have enjoyed magnificent Venice of the North and return home with lifelong memories and unforgettable impressions. After breakfast you check out from your hotel and private driver takes you to the airport. We wish you a safe flight and hope to work on your future trips!